Enthusiastic, happy and friendly are the best words to describe our brilliant team. For a business trip, a family vacation to discover the Vercors mountains or a romantic getaway, we look forward to welcoming you to the ibis Styles Valence Gare TGV hotel! 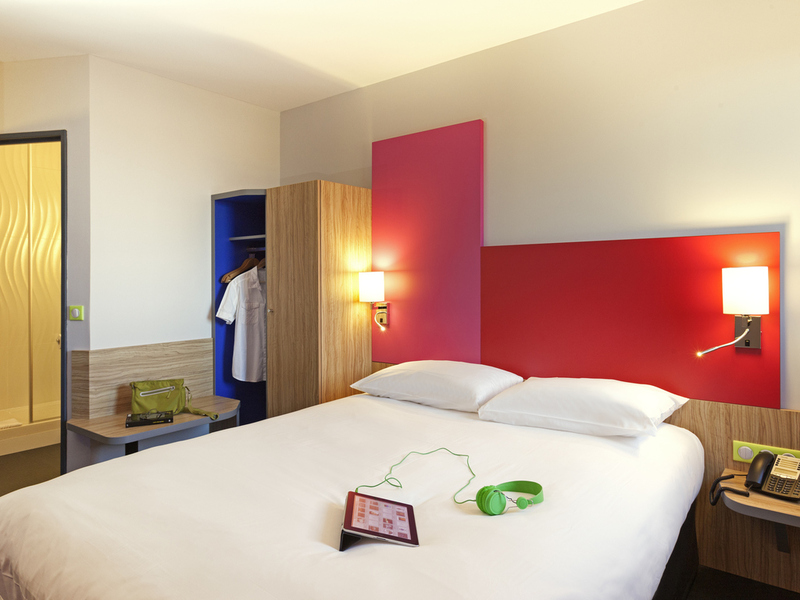 Breakfast and WIFI are included in all rates at the ibis Styles Romans Valence Gare TGV. The hotel offers 80 modern, air-conditioned rooms in iridescent shades inspired by local painter Bernard Cathelin. The hotel also offers pleasant communal areas: 5 co nference rooms, a bar, a Courtepaille Comptoir restaurant with its terrace and a secure, private car park. Located in an HEQ (high environmental quality) area, the hotel is just a 1-minute walk from Valence TGV train station. Open for lunch and dinner, our Courtepaille Comptoir restaurant offers grilled dishes and all-you-can-eat sides! In good weather, take advantage of the terrace with views of the Vercors mountains. Relax at the bar: At any time of the day, enjoy a friendly and colorful space, and why not have a game of human-size checkers?